Fruitless Pursuits: UPDATED with PRE-ORDER INFO! 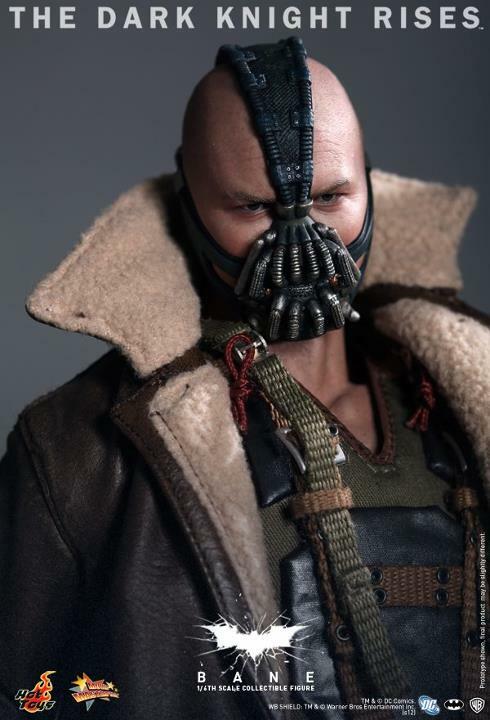 Hot Toys The Dark Knight Rises Bane Revealed! UPDATED with PRE-ORDER INFO! 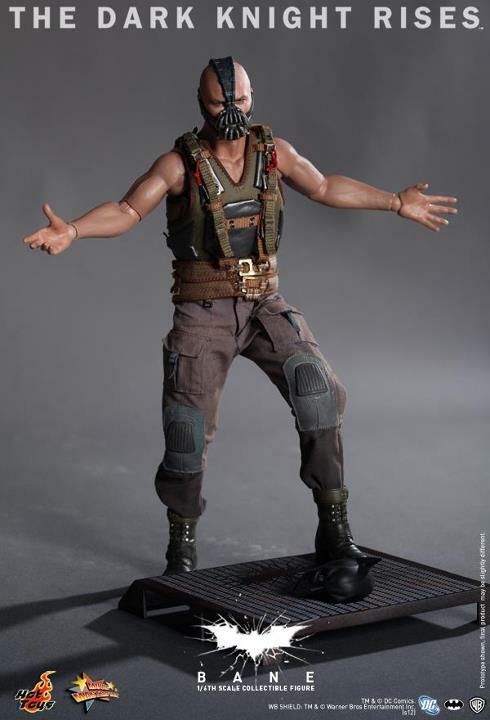 Hot Toys The Dark Knight Rises Bane Revealed! 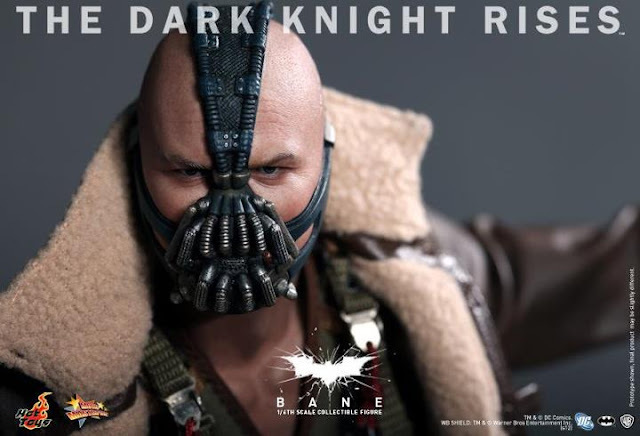 And more images of Bane... after the jump! 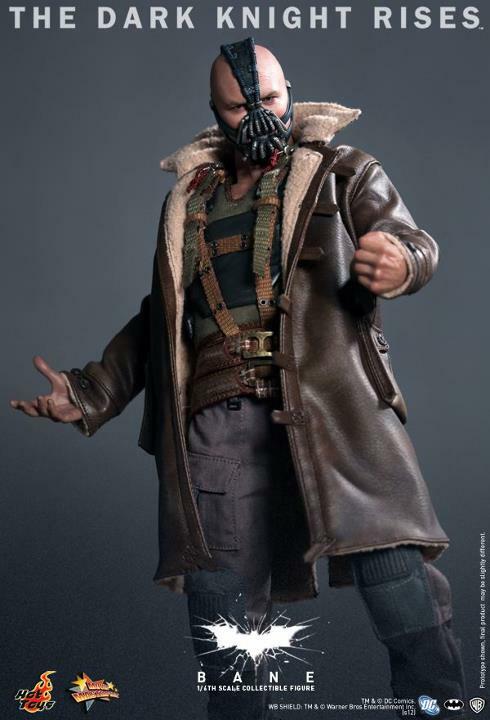 The quality and detail I'd expect from Hot Toys is present here, of course, but one thing that immediately strikes me when looking at him without the jacket... He doesn't look that big! 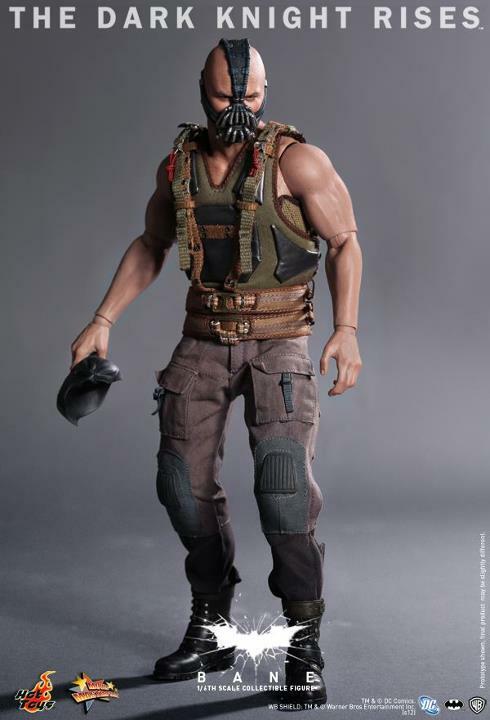 Movie Bane is certainly not the massive muscle-bound hulk from the comics. Interesting too that they seem set on the visible arm joints now as opposed to hiding them with a rubber body like they did with earlier figures. Great face sculpt! I hope the mask is removable and there's more underneath. I suppose it depends on what happens in the film. 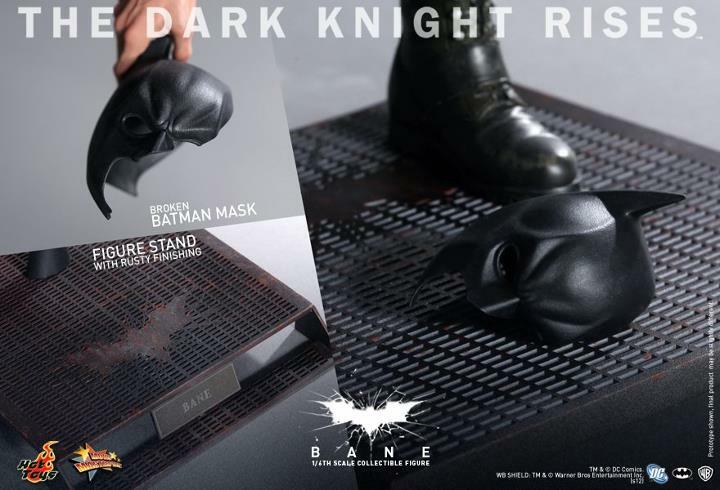 And nice weathering on the base, plus a busted up Batman helmet. He probably also comes with pieces of Batman's shattered pelvis. Hopefully there's Catwoman on the way too? Nothing's been teased yet so if there is it might take a while. We still haven't seen our Iron Man Mark VII or Hulk yet come to think of it! The desirability of this figure may depend on how this movie pans out. Will let you know what I thought of it soon!